Do you have any allergy restrictions that we should know about? Does anyone in your party have allergy restrictions that we should be aware of? Please list any food allergies or sensitives for your party here. If you don’t want to actually collect these details through the RSVP process, you may simply ask guests to reach out via phone or email to address any concerns. 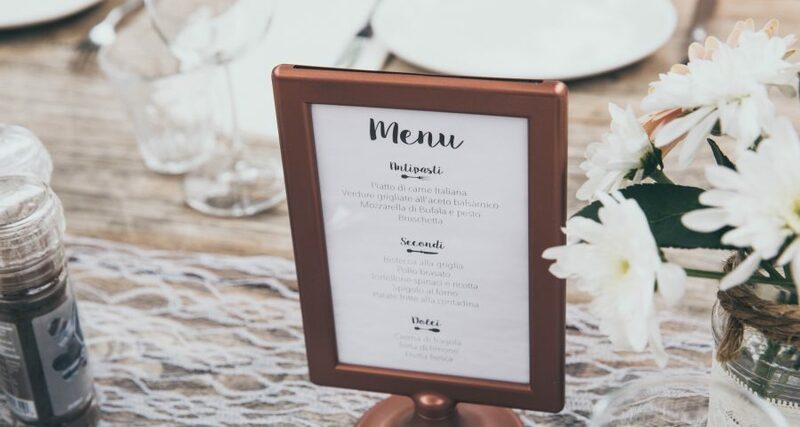 As the wedding date approaches, provide a document to your caterer with the names and food allergies of guests so that they can ensure precautions for serious allergies are taken, and all guests’ needs are addressed. The caterer will like give you a deadline to provide this information, usually about 2 weeks before the wedding date. If serving a buffet style meal, you may consider creating food allergy labels for your guests. How are you taking care of your guests with food allergies on your big day? Let us know in the comments!